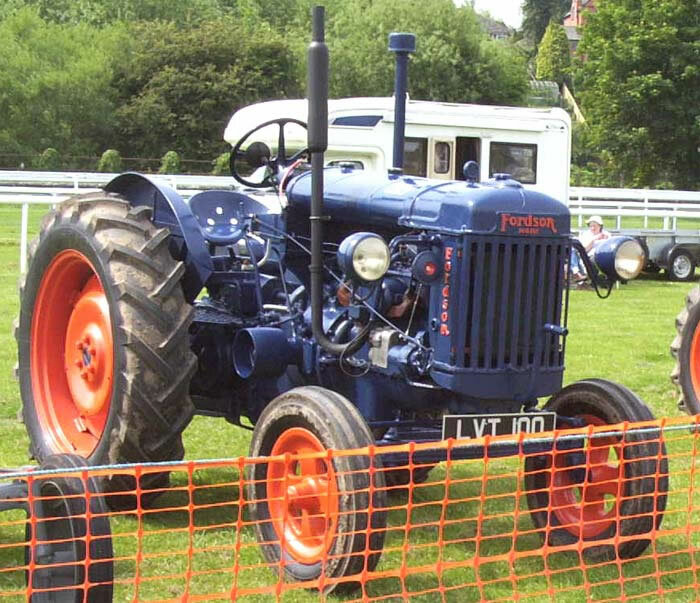 The Fordson Major Model E27N Tractor was fitted with a swinging draw-bar as standard equipment, optional extras included: Electric starting, hydraulic lift, power take-off and side mounted belt pulley. Because Ford were unable to use the Ferguson patented hydraulic system with it's built-in overload safety mechanism an optional top link with an automatic overload release mechanism was produced for the E27N. A hydraulic damper in the optional top link was connected by a mechanical linkage to the clutch pedal of the tractor, increased forward thrust created in the top link when an implement hit an obstruction caused the linkage to disengage the clutch. A relief valve in the hydraulic damper could be adjusted to vary the sensitivity of the release mechanism when working with different implements and soil types.